Providing you the best range of ketorolac tromethamine injection, etoricoxib tablet, deflazacort tablets, drotaverine and mefenamic acid tablets, paracetamol tablets and serratiopeptidase tablets with effective & timely delivery. We are leading Exporter and Manufacturer of Ketorolac Tromethamine Injection. Ketorolac blocks the release of certain chemical messengers that are responsible for inflammation, pain, and fever. 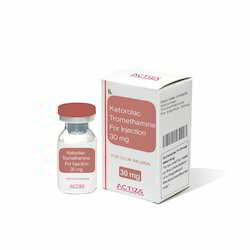 Ketorolac Tromethamine Injection exporter in India. We are leading exporter and manufacturer of Etoricoxib Tablets. Etoricoxib is used in pain, osteoarthritis, rheumatoid arthritis, ankylosing spondylitis and goutIt should be used in patients of 16 years of age and older. Etoricoxib blocks the release of certain chemical messengers that are responsible for pain and inflammation (redness and swelling). We are leading Exporter and Manufacturer of Deflazacort Tablets. 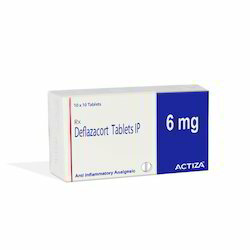 How it worksDeflazacort is a corticosteroid drug. It increases the level of glucocorticoid in the body and works by decreasing the formation of substances that cause inflammation and suppresses immunity to stops self damage to body by immune system (auto-immune reactions occurring in organ transplants or cancer). Electrolyte imbalance, Headache, Redistribution/accumulation of body fat, Bone degradation, Increased risk of infection, Insomnia, Increased hair growth, Muscle disorders. We are leading exporter and manufacturer of Drotaverine and Mefenamic Acid Tablets. Drotaverine is an antispasmodic. It increases the levels of chemical messengers that relieves the pain due to muscle spasm or tightness. Mefenamic Acid blocks the release of certain chemical messengers that are responsible for inflammation, pain, and fever. Drotaverine and Mefenamic Acid Tablets exporter in India. We are leading exporter and manufacturer of Paracetamol Tablets. Paracetamol blocks the release of certain chemical messengers that are responsible for inflammation, pain, and fever. Paracetamol tablet exporter, manufacturer, supplier in India. We are leading exporter and manufacturer of Serratiopeptidase Tablets. Serratiopeptidase tablet exporter, manufacturer, supplier in India. We are leading exporter and manufacturer of Lornoxicam Tablets. Lornoxicam blocks the release of certain chemical messengers that are responsible for inflammation, pain, and fever. Nephrotic syndrome, Abnormal blood cell count, Pancreatic inflammation, Blood disorder. Lornoxicam tablet exporter, manufacturer, supplier in India. We are leading exporter and manufacturer of Aceclofenac and Paracetamol Tablets. Aceclofenac blocks the release of certain chemical messengers that are responsible for inflammation, pain, and fever. Aceclofenac and Paracetamol Tablets exporter, manufacturer, supplier in India. We are leading exporter and manufacturer of Mefenamic Acid and Paracetamol Tablets. Mefenamic Acid and Paracetamol Tablets tablet exporter in India. We are leading exporter and manufacturer of Aceclofenac Tablets. Aceclofenac Tablets exporter in India. We are leading exporter and manufacturer of Thiocolchicoside Tablets. Thiocolchicoside Tablets exporter in India. We are leading exporter and manufacturer of Aspirin Tablets. Aspirin 50 mg tablet dr blocks the release of certain chemical messengers that are responsible for inflammation, pain, and fever. Nausea, Bronchoconstriction (constriction of air passages), Angioedema (swelling of deeper layers of skin), Bleeding, Cerebral hemorrhage, Dizziness, Shortness of breath. Aspirin Tablets exporter, manufacturer, supplier in India. We are leading exporter and manufacturer of Celecoxib Capsules. Celecoxib is used in pain, osteoarthritis, rheumatoid arthritis, ankylosing spondylitis and goutIt should be used in patients of 16 years of age and older. Celecoxib blocks the release of certain chemical messengers that are responsible for pain and inflammation (redness and swelling). Celecoxib Capsules exporter, manufacturer, supplier in India. We are leading exporter and manufacturer of Ibuprofen Tablets. Ibuprofen blocks the release of certain chemical messengers that are responsible for inflammation, pain, and fever. Nervousness, Flatulence, Abdominal bloating, Constipation, Diarrhoea, Dizziness, Ringing in ear. Ibuprofen Tablets exporter in India. We are leading Exporter and Manufacturer of Lidocaine Injection. Lidocaine works by blocking pain signals from the nerves to brain which decreases the sensation of pain. Lidocaine Injection exporter in India. 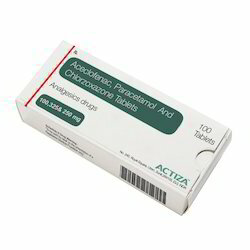 Aceclofenac,Paracetamol And Chlorzoxazone Tablet exporter in India. We are leading exporter and manufacturer of Paracetamol Injection. 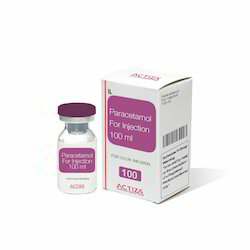 Paracetamol Injection exporter in India. We are leading Exporter and Manufacturer of Dexamethasone Phosphate Injection. Dexamethasone sodium phosphate injection belongs to a group of medicines called corticosteroids. It prevents late phase allergic reactions by preventing release of chemicals responsible for allergy. Dexamethasone Phosphate Injection exporter in India. We are leading Exporter and Manufacturer of Diclofenac Injection. Diclofenac sodium injection is used in fever, headache, arthralgia, myalgia, dental pain, post operative pain, pain during menstruation, osteoarthritis, rheumatoid arthritis, ankylosing spondylitis and gout. Diclofenac sodium injection is a non-steroidal anti-inflammatory drug (NSAID). It works by blocking the release of certain chemical messengers that cause fever, pain and inflammation (redness and swelling). Diclofenac Injection exporter in India. Looking for Analgesic And Anti Inflammatory Drugs ?